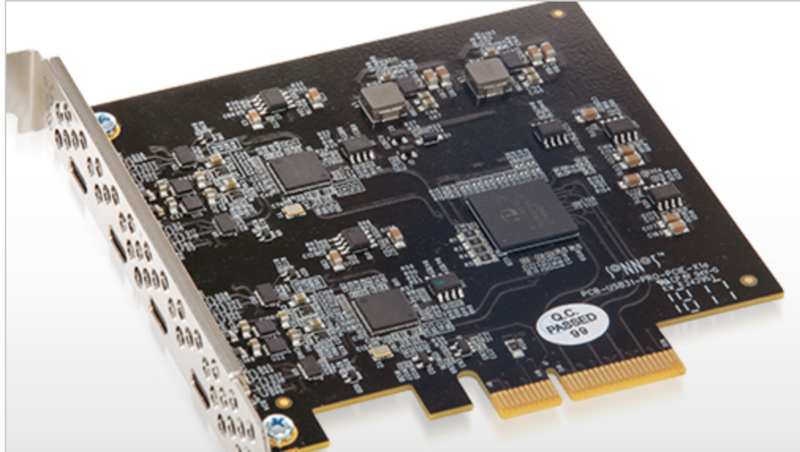 Whether you want to speed up external USB transfers to/from your Mac Pro tower or want to add more ports to your late model Mac, the Allegro Pro USB 3.1 PCIe 4-port card may be just what the doctor ordered. 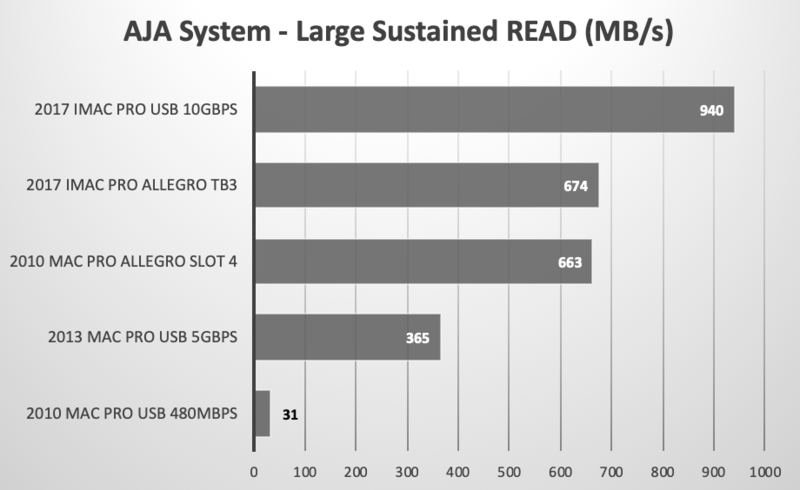 If you have a Mac Pro tower, adding the Sonnet Technologies Allegro Pro USB 3.1 PCIe will accelerate your USB performance by a factor of 20. It's one of the most efficient ways extend the life of your tower. 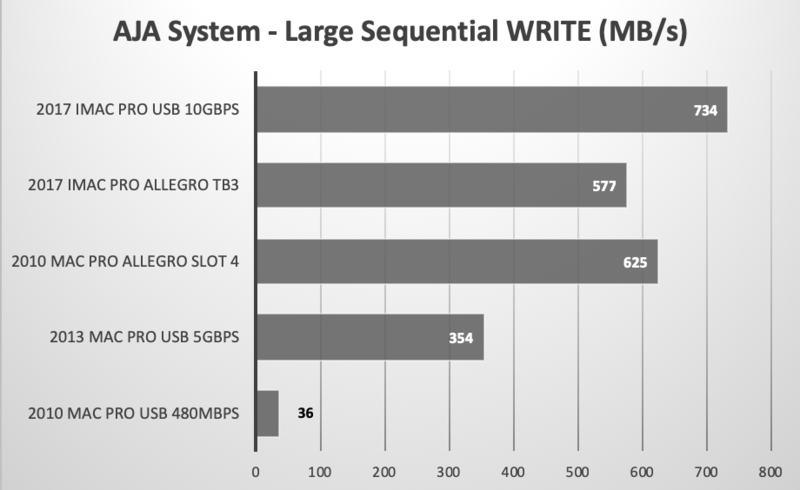 We tested both Allegros (USB-A Pro USB 3.1 PCIe and USB-C 4-Port PCIe). The transfer speeds were identical. One reason the Allegro is slower than the built-in ports of the iMac Pro is because it uses dual 2-lane controllers instead of one 4-lane. If you have a MacBook Pro or Mac mini or iMac or iMac Pro, installing the Allegro in a Thunderbolt 3 expansion box adds four fast USB 3.1 Gen 2 ports. We used the AKiTiO Node Lite (single slot) Thunderbolt 3 expander for our testing on the iMac Pro. Sonnet has their own expansion boxes such as the Echo Express III-D and the Echo Express SE III -- both of which have THREE slots. You could always install both versions of the Allegro, thereby adding 8 total USB 3.1 Gen 2 ports to your Mac. You can never be too rich, too thin, or have too many ports. 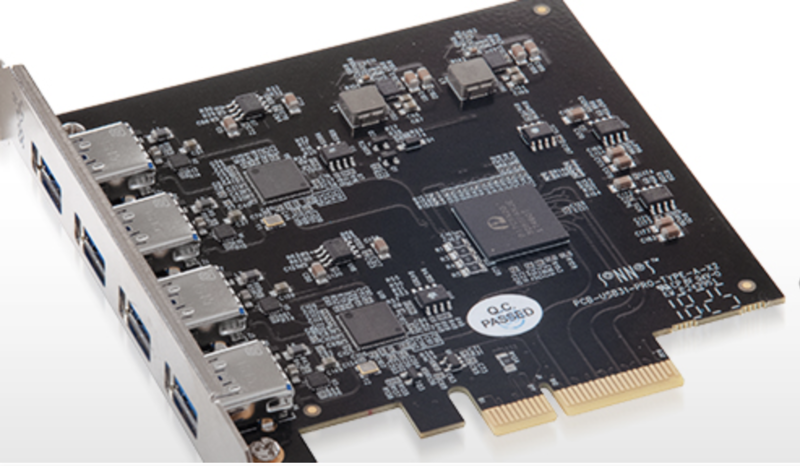 And if if you have Windows or Linux PC, the Allegro Pro USB 3.1 PCIe works on those platforms as well. Order the USB-A port version from B&H Photo Video. They also have the USB-C port version. USA readers can help BareFeats earn a commission by clicking THIS TEXT LINK or on any of our Apple display ads when searching for items for purchase.